"Just like in human interactions, to have good communication a number of things need to work out—it helps to speak the same language and so forth," Petta said. "We are able to bring the energy of the electronic state into resonance with the light particle, so that the two can talk to each other." Each bit in an everyday computer can have a value of a 0 or a 1. Quantum bits—known as qubits—can be in a state of 0, 1, or both a 0 and a 1 simultaneously. This superposition, as it is known, enables quantum computers to tackle complex questions that today's computers cannot solve. Quantum information is extremely fragile—it can be lost entirely due to the slightest disturbance from the environment. 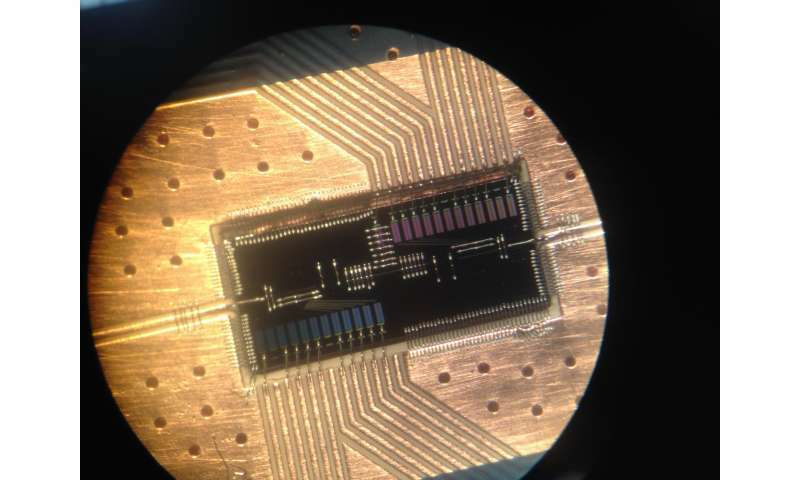 Photons are more robust against disruption and can potentially carry quantum information not just from qubit to qubit in a quantum computer circuit but also between quantum chips via cables. It seems like every year there are scores of articles claiming another step that brings quantum computing close to reality. But where are those famed quantum computers? Which begs a question: how many more steps there are there? Are you sure it isn't like walking toward the horizon; no matter how many steps you take, with every one of them you feel like you are getting closer, but you somehow never get there. Honestly, if someone wants to take a bet, we will not have quantum computers even in 10 years. Keep on with those steps ;-> Mark it down. Quantum computers, like optical computing before it, are a pipe-dream. The technology is no where near fruition. There's no widespread business case for them. Bringing something from research to the market requires a business case. There are very specialized uses for which they would be viable already (mostly to do with cryptographic applications) - but that is not something that is currently profitable for home use.